To me this is by far the most astonishing post from QuranerKotha website. I learned some secrets behind today’s dirty politics/journalism from it. I hope it will inspire me and others to be brave and conscious about the problems around us. May Allah give you and/others behinds this work tremendous rewards here and hereafter. JK. 1. “Be United”, this things has been completely ignored in this article. The things you have told, can’t be done alone successfully without being united. Thats why it has been so important in islam to be united. 2. 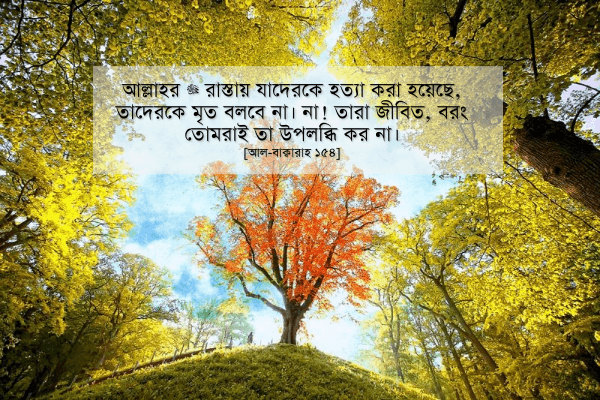 You told: “এধরনের জিহাদ বরং নিশ্চিত মনে করা যায়, কারণ এগুলো করতে গিয়ে ইসলামী দলগুলো এবং রাজনৈতিক দলগুলোর দ্বারা প্রতারিত হওয়ার সম্ভাবনা নেই।” Do you mean that ইসলামী দল are cheating people?? You need to be more careful about using such general statement. When you are being united, it will form a party. And when you are in party that really does work against corruption and other bad things, you shall be subject to oppression and propaganda. Lets not make ourself to take part in this propaganda.